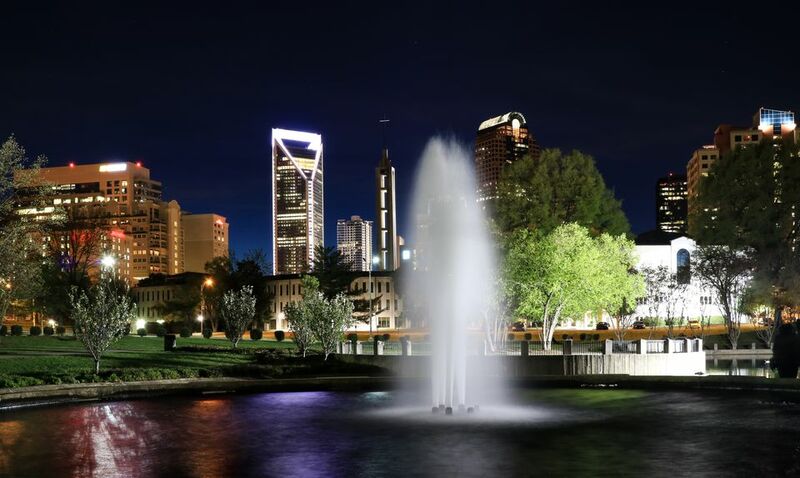 If you're traveling to Charlotte, North Carolina on a limited budget and looking for some free or cheap things to do while visiting the Queen City, you're in luck– there are a number of events and attractions that don't charge admission around the city. From museums and special public exhibits at the Public Library of Charlotte to botanical gardens and nature preserves, Charlotte offers residents and visitors alike a number of great adventures without having to break the bank. Explore the top free things to do while in the city to plan a trip that saves cash while still having a great, memorable time in Charlotte. The birthplace of James K. Polk, the 11th President of the United States is on display in Pineville, just southwest of Charlotte where visitors can go on a 30-minute tour of the restored 19th Century homestead at the James K. Polk Memorial State Historic Site. Various exhibits around the grounds celebrate different aspects of Polk's life and presidency including settling the Oregon boundary dispute, annexing California, and his involvement in the Mexican-American War. Visitors can also experience authentic furnishings and reenactments at this State Historic Site or explore the separate kitchen and barn for a closer look at life during the 11th presidency. The Public Library of Charlotte and Mecklenburg County's (PLCMC) Main Branch features rotating exhibits and had a complete renovation in 2017 to modernize the facilities. Completely free and open to the public, the PLCMC offers visitors a huge database of information as well as special displays of art collections in the Library's display room. The gardens and the McMillan Greenhouse at the University of North Carolina Charlotte are free to view and explore, and the outdoor gardens are open seven days a week during daylight hours. According to the official website, the mission of the UNCC Botanical Gardens is "to promote the knowledge and appreciation of plants through education, environmental stewardship, and aesthetic inspiration." The McMillan Greenhouse is only open on specific days and times, so check the website for specific information on hours of operation before heading out. Located in Albemarle, the Stanly County Museum features Native American artifacts and information about this area of the North Carolina Piedmont region. Known as the "Land Between the River," Stanley has a vast history dating back over 10,000 years, and its current residents share a passion for protecting and sharing the town's rich cultural legacy. The museum features a stagnant main gallery, which walks visitors through the long history of Stanly County, and a rotating exhibit area, which features a variety of different historical displays throughout the year. Part of the Charlotte-Mecklenburg Parks and Recreation Department's city-wide projects, the Reedy Creek Park and Nature Preserve is one of the city's treasures. This nature preserve features fishing and 10 miles of trails and serves as a habitat for 109 species of birds, 15 species of mammals, 20 species of reptiles, and 12 species of amphibians. You can even explore a little piece of Charlotte history here by discovering the cabin ruins and the remains of the Robinson Rockhouse. Midland, North Carolina, home to the Reed Gold Mine, was one of the major towns affected by the North Carolina Gold Rush of 1799, which occurred after a 17-pound gold nugget was discovered in Cabberus County. You can visit the Reed Gold Mine and its museum and take a 30-minute underground tunnel tour—both for free. Or, to really experience the thrill of gold hunting, pay a small fee to pan for gold outside the museum. Located on the site of what was once Southern Railway Company's largest steam locomotive repair facility, the site features an authentic train depot, antique automobiles, and a 37-bay Roundhouse that includes 25 locomotives, dozens of rail cars and other exhibit areas. Visits to the museum are free, but admission may be charged for special events, and there is a small fee for the train and turntable rides if you wish to partake in them. Over the past 40 years, The Light Factory has been home to exhibits that highlight traditional, digital, and motion picture photographic techniques. The gallery has a rotating exhibition schedule that features emerging and established work from artists like Bill Viola, Imogen Cunningham, Stanley Kubrick, and Sarah Moon, and more. If the images prove to inspire your creative side, the Light Factory also runs several educational classes, such as an Introduction to Digital Photography and Black and White Darkroom, for a fee. For the outdoorsy, adventurous types of travelers, you can spend your entire day at Crowders Mountain State Park, but keep in mind there's a small fee to stay overnight in one of the campgrounds. Alternatively, you can fish on the wooded lake in the center of the park—as long as you have your fishing permit. Rock climbing, bouldering, picnicking, and hiking are also huge draws for visitors from near and far.